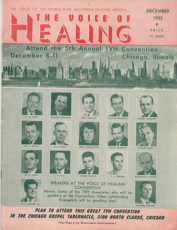 The Voice of Healing Movement, (also known as the Healing Revival) was a famous movement from the mid 1940’s to late 1950’s. 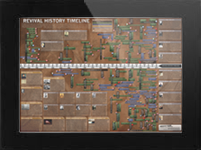 It stretched from North America to impact nations all over the globe. 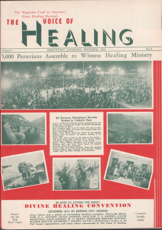 The aftermath of the Healing Revival is said to have impacted over 550 million people worldwide. 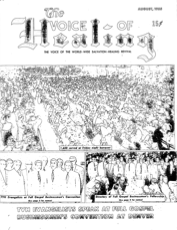 Gordon Lindsay rose up to chronicle God’s works during the revival publishing the Voice of Healing magazine. 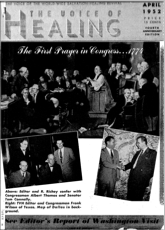 The Healing Revival of North America from the mid 1940’s to the late 1950’s is one of the greatest recorded moves of God in modern history. 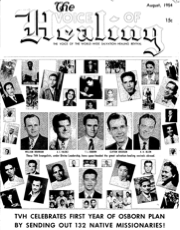 The Voice of Healing Magazine chronicled different aspects of the revival and included detailed reports from William Branham, A. A. Allen, Oral Roberts, T.L. 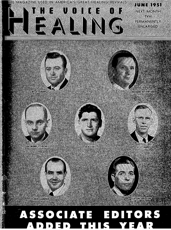 Osborn and many other revival leaders both forgotten and remembered.